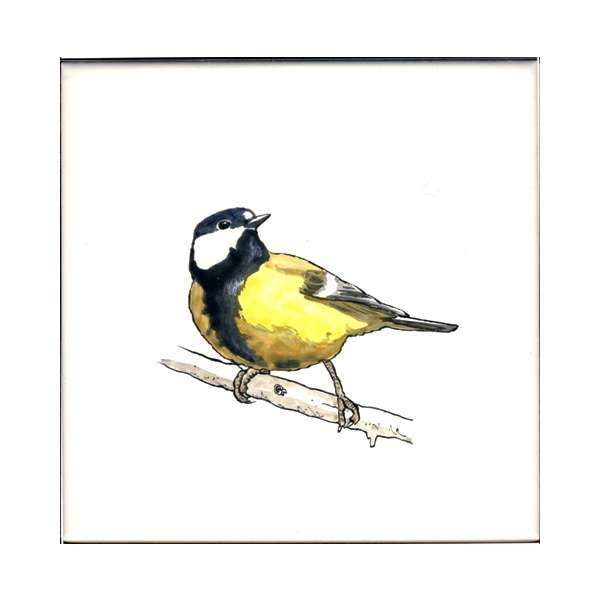 One of a set of designs, this bird is available on a white or cream 5" tile with matching plain tiles available. All of our commissions are bespoke and created to order. We are happy to provide quotes without obligation. We use a selection of 5" tiles which are exclusive to us and are available in a smooth or rustic finish with a cream or white glaze. Prices for our digitally printed tiles range from £8 to £12 each and our hand painted tiles range from £17 to £30 each with an average cost of £22 each. Matching plain glazed tiles are £1.90 each and samples are available. Coloured plain glaze tiles are available. We are also able to supply tiles of other shapes, sizes and finishes as required. We are happy to quote for painting on a tile of your choice. There is NO VAT PAYABLE on our orders.